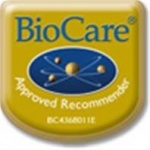 BioCare Bio-Carbonate is an alkalising complex health supplement providing carbonates to help maintain the correct pH (acidity) for efficient enzymatic activity & digestion. Pancreatic enzyme activity in the small intestine is dependent upon an alkaline pH ranging from pH 7 to pH 8. An alkalising complex providing carbonates to help maintain the correct pH (acidity) for efficient enzymatic activity and digestion. Pancreatic enzyme activity in the small intestine is dependent upon an alkaline pH ranging from pH7 to pH 8. The activity of pancreatic enzymes in the small intestine is dependent upon an alkaline pH ranging from pH7 to pH8. Food intolerances may be a result of improper digestion of proteins, fats and carbohydrates due to insufficient levels of alkaline carbonate, which normally allows pancreatic enzymes to break down food molecules efficiently prior to absorption. Sodium Bicarbonate, Potassium Bicarbonate, Capsule (Hydroxypropylmethylcellulos),Bulking Agent (Cellulose), Anti-caking Agent (Magnesium Stearate). One capsule taken three times daily 30 minutes after food, or as professionally directed. 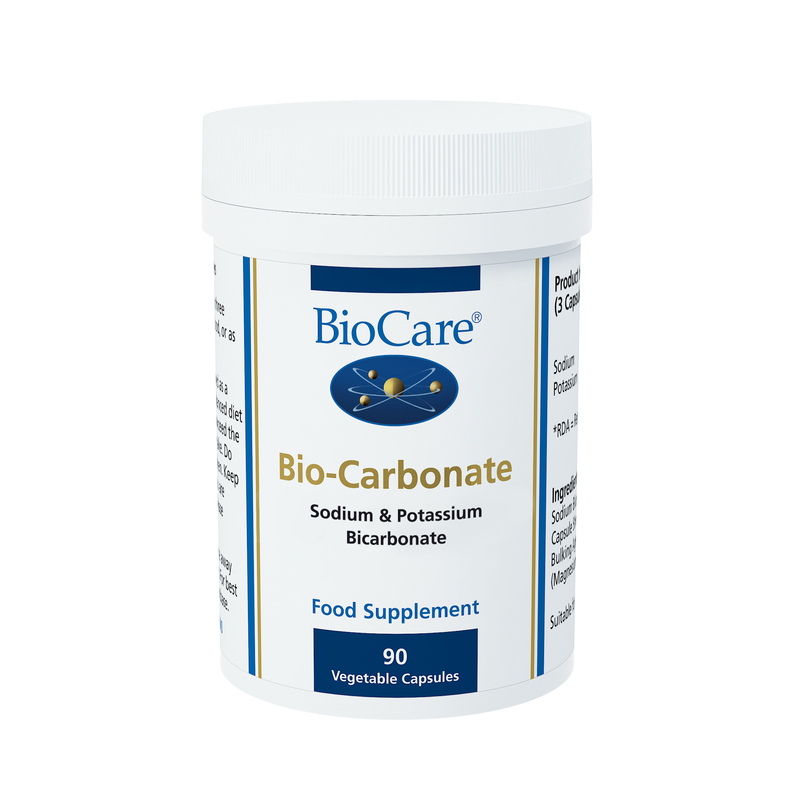 Bio-Carbonate provides carbonates in the form of sodium and potassium salts to help maintain the correct pH for efficient enzymatic activity and subsequent food digestion.